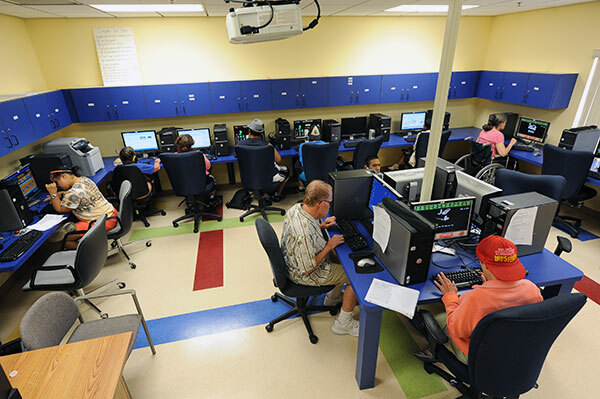 Our computer training program takes place in the Theresa & Edward O’Toole Foundation Adaptive Technology Computer Center in our Education Building. 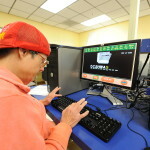 This innovative program trains adults with developmental disabilities to learn basic computer skills using adaptive technology equipment that meets each student’s individual need. 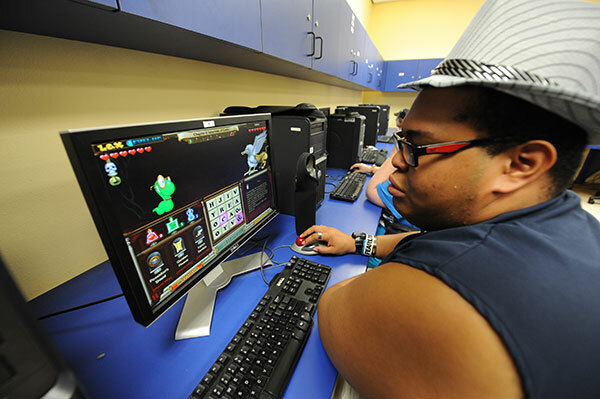 Our students can work to earn certificates in the numeric keypad, calculator, typing, data entry, Windows XP basics, word processing basics and spreadsheet basics. After earning their certificates, they are awarded an overall Computer Literacy Certificate. 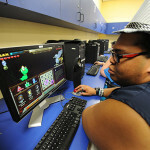 Participants can also learn to navigate the Internet, set up and use email, and use a variety of programs to help with reading, spelling and other skills. Participants also help to produce a monthly newsletter, called Sophie’s Gazette. They help to make editorial decisions on story content, conduct the interviews, write the articles, and take pictures for publication.